This beautifully remodeled home is a rare find. It's in new condition and it is located in very quiet and very well kept neighborhood. New cabinets, new carpet, new window dressings, and more improvements gives this home the look and feel of new construction. The roof and air conditioning system are right at two years old and have transferrable warranties. 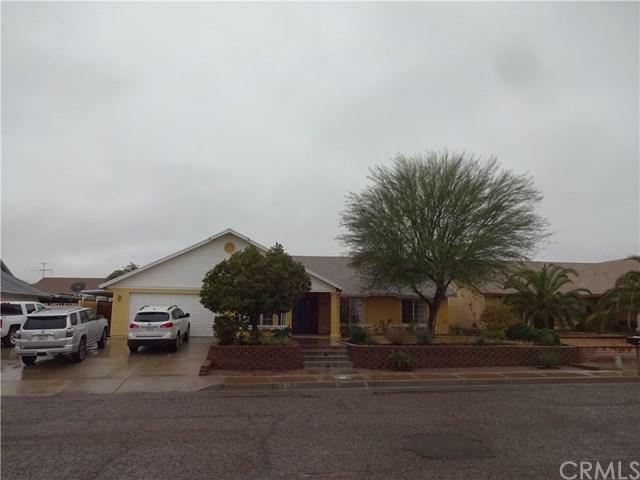 This is a home that most buyers are looking for - three bedrooms, with master opening to the patio, attached two car garage, and a huge covered patio a This beautifully remodeled home is a rare find. 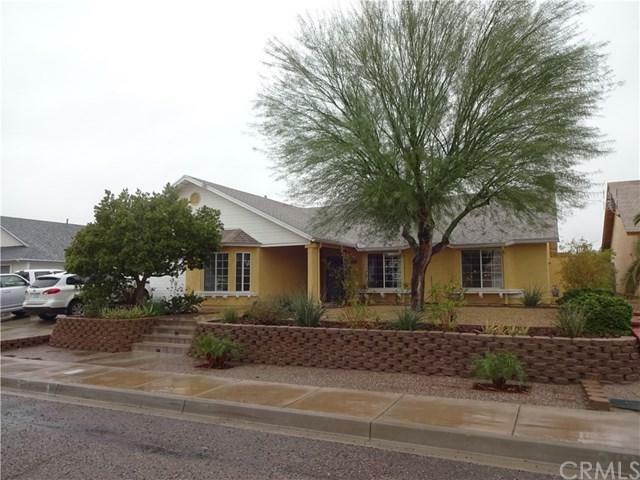 It's in new condition and it is located in very quiet and very well kept neighborhood. New cabinets, new carpet, new window dressings, and more improvements gives this home the look and feel of new construction. The roof and air conditioning system are right at two years old and have transferrable warranties. This is a home that most buyers are looking for - three bedrooms, with master opening to the patio, attached two car garage, and a huge covered patio area with a built in stainless steel bbq grill, and built-in refrigerator with storage cabinets. Outside, you have low maintenance desert landscaping with drought resistance shrubs and trees on automatic sprinklers. Crushed stone covers the larger front yard area. An open floor plan extends from the kitchen to a large dining and entertainment area. The dining and living room area is well lighted with natural light from large windows and a glass slider. A stylish natural gas fireplace provides additional ambiance. From the living and dining area one has open access to the very large covered patio area. 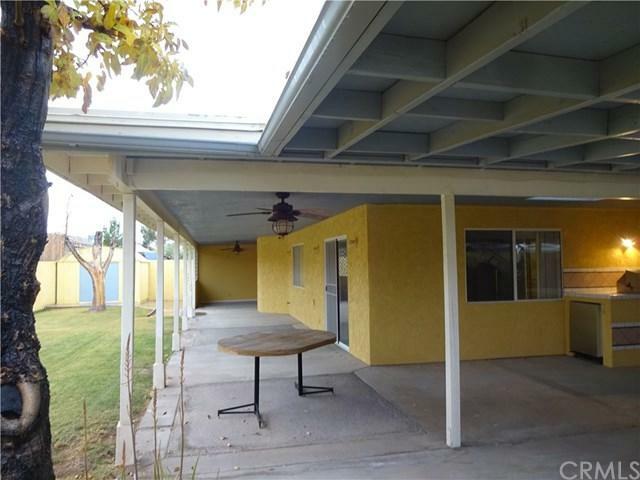 Enjoy the open interior / large patio and back yard all for yourself or use it for entertaining friends and family. 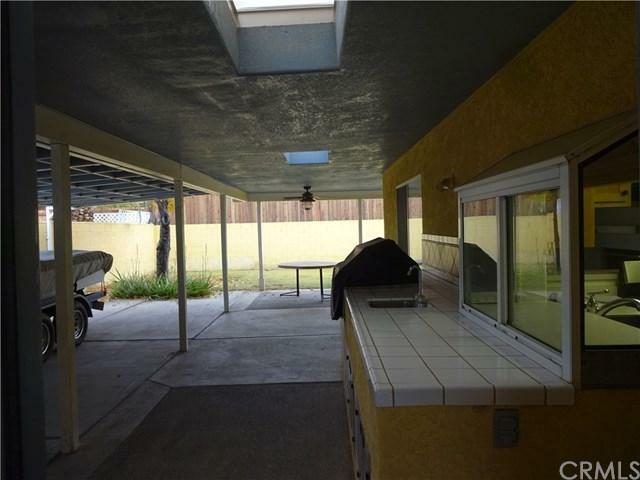 This "like new" home is located in a very low traffic area and quiet neighborhood. Take a look at it! It's a great value. You will agree that it is a good one. Experience the quiet enjoyment of a like "new" remodeled home. Listing provided courtesy of Accord Realty. Listing information © 2019 San Diego MLS, Inc.